Look at Democratic Tweets and Facebook posts and you will learn that Republicans are uncaring beasts out to destroy average Americans. They want to cut Social Security and destroy Medicare among other dastardly deeds. Do we care about $20 trillion in debt and half a billion in annual deficits or our level of spending? Do we care about the amount of taxes we pay? Do we care how government actions affect the competitiveness of American businesses? Do we care about sustainable funding for these necessary programs? I hope that both Democrats and Republicans will answer yes to those questions. Do we care about people, especially people who need and deserve assistance from society? Of course we do. The problem is twofold in my view. First, accurately defining those people who need and deserve assistance and second, finding the right balance between spending and benefit promises. The political right focuses on budgets and debt and spending and the political left focuses on people. One sounds harsh, the other compassionate. However, both are right, but neither is all right. Social Security and Medicare not only represent the bulk of government spending, they have significant fiscal problems that must be dealt with. To build a case for doing nothing via misleading propaganda is downright irresponsible. Both the program Trustees and the Congressional Budget Office and many others have been calling for action for years to make these programs sustainable. And both have been ignored for years. For Democrats to label Republican efforts as hostile to Americans is reprehensible. If you don’t like their ideas, come up with better ones that actually solve the problems and do so in a manner that gives all Americans a stake in the sustainability of Social Security and Medicare. If Congress had done its job and made minor, incremental changes over the years, we wouldn’t be facing a crisis in these programs…a crisis some members of Congress still won’t acknowledge. Are we willing to write a blank check drawn on the accounts of younger generations for our over 65 population? Are we willing to pay much higher taxes to take care of all needs of all Americans? I would hope that if President Trump and Congress get a tax cut passed, they will look at Social Security, adjust the benefits for all past 2030 and raise the tax to fund the system for future generations. I will be starting my SS benefit at age 62 in 10 months and would be ok if everyone had to take a 10% cut, so new retirees would get 90% of their promised benefits. After all, in 12 years of COLA’s, I should get more than a 10% increase. But Americans are a spoiled bunch of crybabies, so I am not sure anything will ever be done to fix the program. Social Security was paid in good faith by us and our employers ONLY. It should have been spent for current generation the rest invested wisely but instead LBJ moved it into his general funds and that’s online to see. Then because the Democratic Congress saw a pot of Gold; they started spending some of it each year. in 2016, they were about to take out more for something other than senior benefits and lance got a majority together and prohibited them from doing it along with telling all his people exactly what was going on and who was doing it. Congress decided that this was out and out Welfare. Government money for no work. NO Way Jose~. It was all OUR money from working. NO welfare. My parents put in when they began working, and so did I. This is all on record. LBJ wanted to make his budget look balanced even though it wasn’t after he escalated the Viet Nam war. Now some of those years; interest rates were at 10-17% but the money taken out earned NOTHING. and now they say it is going broke. As Christie said in the debates; there are a lot of IOUs in that pot. They promised to repay it later on. Just like Medicare. the Democrats because not one Rep. voted for Obamacare took out $714 BILLION of Medicare to pay for Obamacare and the IRS etc. and another $22 BILLION to pay for all the credits given MAINLY to those UNDER 65. And then they claim it is going broke. Just how far would $736 BILLION, GO??? And several Senators got about $10,000 in credits for their plans. They said they deserved it because they serve in Congress. I don’t think so. Not true at all, not true. SS has been funded the same way from the beginning. Any excess money was used to buy Treasury Bonds that pay the trust interest. The government is free to use the money from the bonds any way it sees fit. Just like a regular US Savings bond. The SS Trust holds $2.8 trillion in those bonds. When you hear about the SS Trust going broke and not being able to pay full benefits, that’s AFTER all the bonds have been redeemed. You say the money should have been invested. WHERE? It’s already invested getting interest in the safest investment there is. Can you please give a link to these records. Every record I seen is that the funds are in Treasury Bonds. That’s exactly where they are. Keep in mind, these people already took a larger cut in the 1983 reform than your birthyear did. So you want these people to take another cut that you won’t consider for yourself, and for future workers to pay the taxes that you didn’t. That is what you are saying. At this point, it would take a 16 percent cut for everyone to kick the can. So 10 percent isn’t a going to put a dent in the issue at hand. The GOP is simply protecting the base. It’s changes are reprehensible politics, sold with snake-oil salesman statements. The changes put forward in December by Rep. Johnson end Social Security for those 56 and younger. Those 56 and younger would get a welfare program, while their older siblings collect full benefits of an old-age insurance program. This is a little like the guy driving the Lexus telling younger Americans that they will get a Yugo. It is still a car, right. Sadly, older Americans are going to get crushed as this system unwinds. They can only blame themselves when it happens. They have played a vital role in the 3rd Rail politics that have caused the system to get where it is today. 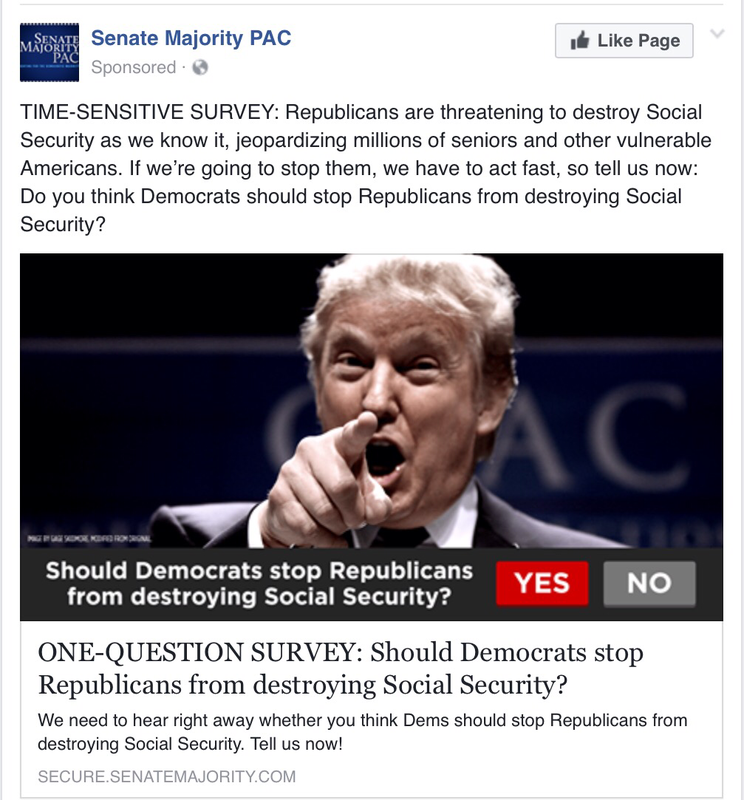 There is no problem accurately defining those people who need or deserve assistance because Social Security is not intended to be a welfare program. If that is what you want, just end it, and transfer the resources to an actual welfare program. But please spare me the car is a car logic that hides the transition. I agree, you can look to Greece and see what is going to happen if they keep kicking the can down the road. The young will end up paying and never get any benefits. What happens when the young get a right to vote? They are apt to elect people who represent their interests. The old are the people at risk of not getting benefits, absent the young repeatedly voting against their own self-interest. If you want the SS program to continue, as it is, the tax will need to be raised. You could raise it the same percent as the COLA each year until it reaches 10% for both employee and employer over the next 15 to 20 years and that would take care of the shortages. Another way to fix it = Make companies pay the same dollar amount in for each employee, no matter what the person earns and everyone gets the same check. Companies that have workers that earn low wages get a break in what they pay in for each worker. I am sure the bean counters could come up with the correct number. That way the employee would pay the same taxes that they are currently paying. Record corporate profits, almost no one has a pension anymore. But you do realize SS has always been a welfare program for the low income worker that does not make enough to save very much for retirement. Since I started working in 1971 and my FRA is 66 years and 4 months I have paid about the same tax that others of my income have, so I do not think anyone has taken that big of a cut. Because of the way that SS figures your benefit and raises It as the average wages go up, people coming after me might receive more in benefits. It is not my problem that the government failed to collect enough taxes to cover the benefit payments for the boomers that are retiring now, or to cover future generations. That fixes the problem for you by creating a bigger one for someone else. You started working when the cap was probably $10,000, and you will get to retiree at 66 + 4. The people that you would hit have to retire at 67. The guy who retirees in 2030 has a shorter life expectancy in retirement than the guy who retired in 2005. Today the cap is 10 times that amount, and people pay close to double the rate. How is giving Bernie Sanders and his wife $50K per year a welfare program for low income workers. The system has nothing to do with low-income. It pays the highest benefits to the guy who had the best job over the longest career. Sorry it has been a long day and I hit the wrong key. Total benefit = $285,120 over 20 years and that is not even figuring COLA increases. That is why I think a better system would be employers pay the bulk of the tax, same for every worker (which may be less tax for the high earner) and everyone gets the same benefit.